Home Technique How To Increase Your Hand Speed – Our Top Tips! When it comes to fighters who possessed the greatest hand speed, some of the names that spring to mind includes Manny Pacquiao, Sugar Ray Robinson, Roy Jones Jr. and Muhammad Ali. You don’t have to be aiming for pro level to be concerned with hand speed, even at amateur levels it is essential to hone all of your skills. Improving speed increases your chances of hitting your opponent first and make your movements unpredictable. It makes your performance look better in front of the judges too, but hand speed doesn’t just make a fighter look impressive, it makes them a deadly opponent in the ring, if your punches are faster then they have more chance of making a cut. If somebody can jab, hook, uppercut, counter and cross in the blink of an eye and faster than you, then you could be in for a nasty surprise. Working on your hand speed will also better equip you to defend yourself as quickly as possible after throwing a punch, or when you are in trouble. If at this point you are thinking it’s not important, let’s appreciate the fact that hand speed doesn’t just come in to play with offensive movement, it’s just as important for defensive movement as we’ve mentioned. Hand speed is undeniably one of the most essential skills a boxer can work on. To be truly effective, this skill has to be combined with accuracy, power, stamina and various other aspects to having a devastating effect in the ring, it should be given a lot of attention in your training. The fact that so many successful offensive of defensive boxers relies on their hand speed is a testament to this attribute in itself. Even in the amateur levels, speed is honed first and foremost, a boxer should aim to become as unpredictable as possible. There are several ways to improve your hand speed, check out our top tips. A quick mind equals quick reflexes and everything in the ring starts with your boxing brain. Your hand speed will suffer if you are too tense, being stiff is counter-productive, if you load up too much on your punches then you have more chance of leaving yourself open. Being tense will not sharpen your mind or reaction time, instead, you should incorporate exercises that will improve your hand-to-eye co-ordination. The speed bag should be the bread and butter of your hand speed workouts but not of your overall routine, remember we are talking of developing one skill only here. While you may think it was invented solely to improve hand speed, it actually wasn’t. It goes a step further and improves your motor skills such as hand-eye coordination, timing and to help formulate a habit of keeping your hands up. Increases rhythmic movement throughout the body. Encourages you to keep your hands up. The double end bag is another great way to improve your reflexes, it allows you to work with a fast-moving target. Doing this requires you to to be alert and focused, bringing your timing and reflexes into the equation. Don’t try and do what the pros do straight away, instead try and do single punches or one-two-punch combinations. Practising basics until they become second nature is better than setting yourself up for failure with complex patterns that you are not ready for. 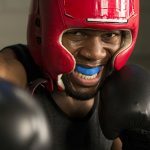 You won’t find a contraption quite like this in any other sport, it can be used to experiment with all different types of punches and combinations. Trying to mimic real fight sequences or starting combinations is meat-and-potatoes, but this grants you more of a chance to be creative. Hand speed is nothing without accuracy but the double-end bag allows you to improve accuracy as well as how to use your power in effective ways. Throwing aimless shots with fast hands is no way to conserve your energy, use the double end bag to learn efficient hand speed and how to use our energy wisely. Last but certainly not least, Work on throwing fast combinations and breathe accordingly, its possible to adjust the rebound elasticity to give you a myriad of different training punching skill sessions. When the pros throw their combinations, you may have noticed that they breathe to a certain rhythm and there is a reason for this. It makes sense to exhale as force is exerted with a punch. Whenever you see a fighter grunt or make noises when they punch, it is usually another select method of exhaling but also allows them to throw some aggression into their punches. Your breathing is crucial to give the right amount of energy to all of your movements. Trying to breathe slowly and deep when you are moving fast or rapidly will not provide your body with enough oxygen or nutrients to be able to keep a good pace. You should practice learning to breathe in different ways so you have a well-rounded arsenal for different tactics in the ring. Breathing in time with your hand speed is just one of the ways you can improve your overall performance under this particular condition. (Try throwing punches with slow breathing and you will notice how you quickly lose air and won’t be able to keep it up for long.) Muscular contractions, heart rate and breathing all work together. All you need is an imagination to think of somebody in front of you! The goal is to surprise your opponent with a variety of punches that they won’t see coming. The art of shadow boxing can permit you to practise a trade-off, swapping power for speed. Short hooks and snap jabs are the best way to practise improving hand speed with shadow boxing, any looping shots are going to be seen a mile away, taking too much time and energy plus they leave you open. To really push the boat out in your hand speed training, you can use small hand weights in the form of dumbbells or weighted wrist straps. Varying between the two will allow your muscles a variety of stimulus. The extra weight will make your hands feel as light as a feather afterwards, and you will notice a significant increase in speed. Try doing rounds of 3 minutes but give yourself 90 seconds rest in between each set, adding sets or weight when it gets too easy. Consistent hand speed relies on muscular endurance, which will allow you to throw efficient punches for longer without fatiguing. Allows you to freestyle and become creative. Resistance Bands are something that is cheap to buy and very versatile, the chances are your gym or coach will have some you can use anyway. They provide resistance in confined spaces of pressure or elasticity. Resistance training may sound generic but it is a staple required for skill acquisition, it will make your muscles grow and become stronger but also improve your recovery. Adding resistance to your arms will improve your full range of motion when practising your punches, delivering more power and speed. Resistance bands can easily follow the motion of your natural movement patterns, but you really need to work on the body as a unit from the ground up to fully maximize your hand speed and punching power. Q. What does it mean to have heavy hands? A. 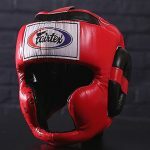 Having heavy hands in boxing may sound like a good thing but it really isn’t, being heavy-handed is a nickname coined for people who have slow hands, sluggish movement and little impact upon hitting their target. Your hands need to be light and snappy to really have a good punch variety, as very little punching power actually comes from the arms. Q. How fast can a boxer punch? A. This will vary greatly between weight classes but Ricky Hatton was shown to throw punches at an average speed of 25mph, one of the punches was thrown at an incredible 32mph. Q. Does punching with weights increase speed? A. Absolutely! Punching with weights works the muscle fibres in your skeletal muscle harder, so they will break down and build back up stronger and more powerful. Try it now, throw a set of punches with small weights in your hands, then try the same punches without a weight to see what we mean. Before we finish up.. want to see some fast hands? Let us introduce you to Gary Russell Jr.! A boxer needs the ability to combine so many different things to become a great boxer, you play rugby, you play basketball or tennis, but nobody plays boxing. It is one of the most complex sports to master but also one of the most rewarding, use our tips and combine them with the other information on our website to become the best you can be. Tap in to all of the fundamentals and be persistent, find a goal and achieve it. Previous articleHow Do Boxers Stop Nosebleeds? Next articleHow Does A Boxer Cut Weight For A Weigh In?